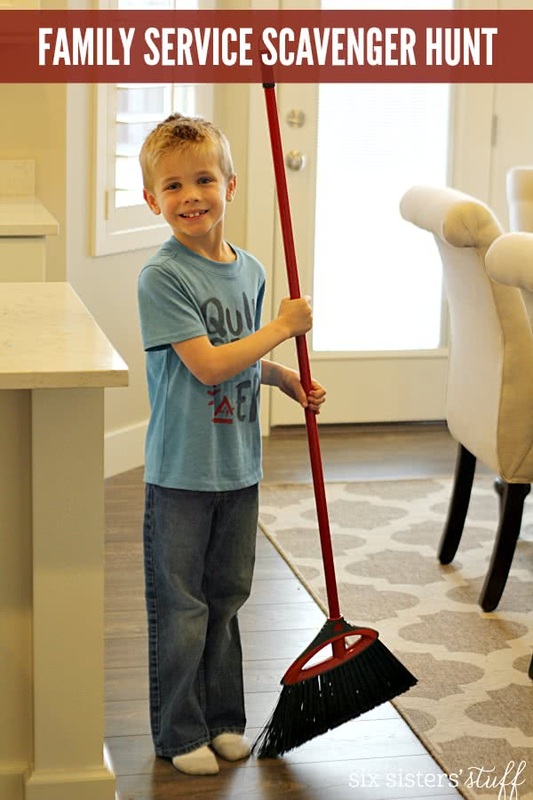 One thing that is so important to me is teaching my kids how to serve and how to do it with a smile. I feel that if you can teach your children at a young age about the importance of serving others, it’s something that they will do for the rest of their lives. 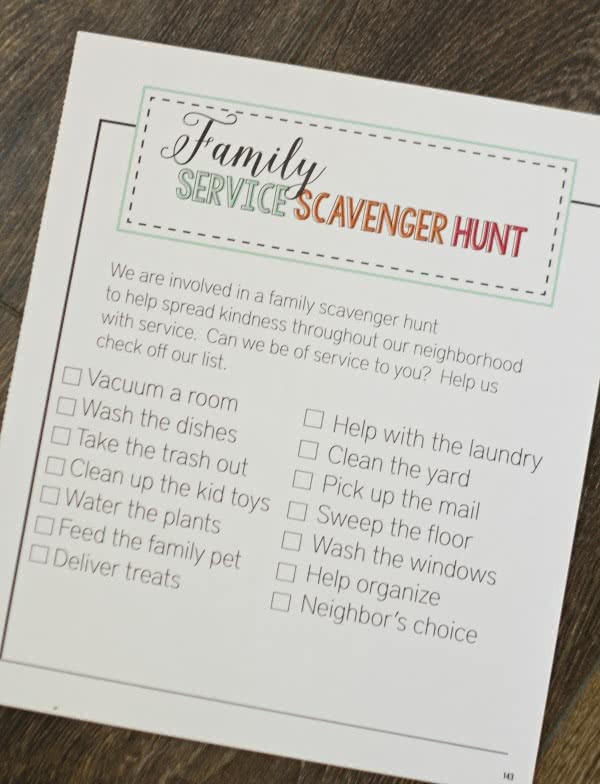 One of my favorite ideas in the book is a family service scavenger hunt. I like to find fun activities that my family can do together, which can be challenge with the different ages in our family. However, this was something that the whole family got involved in and loved! 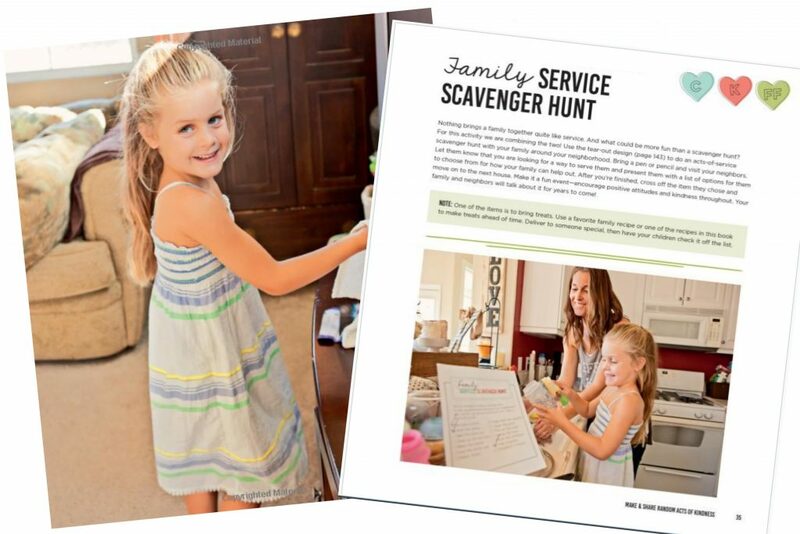 Mique included a darling tear-out page in the book with all the ideas that your family needs to do this scavenger hunt. You simply tear out the sheet, then head to your neighbors house. Let them know that you are looking for a way to serve them and present them with the list of options for them to choose from for how your family can help out. Once you’re finished with the job, cross off the item they choose and move to the next house! The possibilities are endless – you can even have your kids help you come up with some ideas! 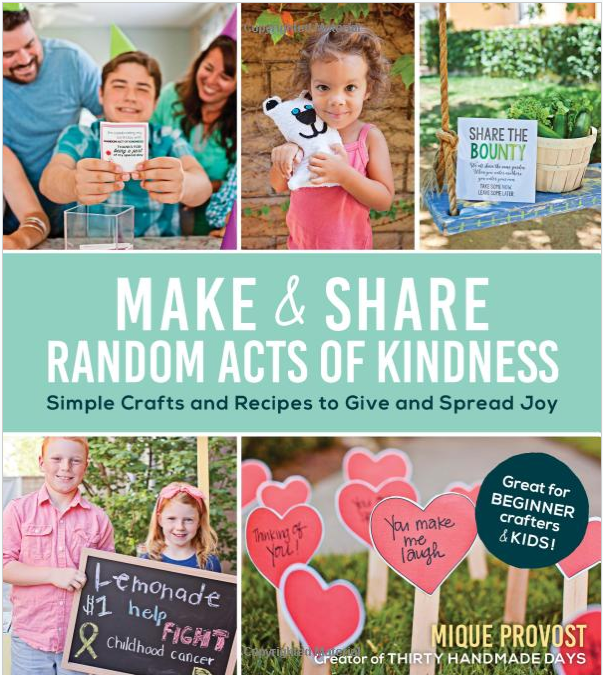 You can check out Make and Share Random Acts of Kindness Book HERE. What a gift you are giving your children ! Indeed teaching values for a lifetime.